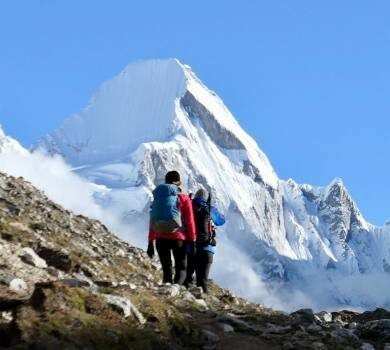 Fascinating and interesting newly open trekking route of Nepal is Pikey Peak Trek offers with a beautiful view of natural treasures of Everest Region. A short and incredible trekking path in Solu region or Khumbu region of Nepal that is less discovered by people. This will be a great opportunity to witness out the enchanting nature within a tranquil environment. 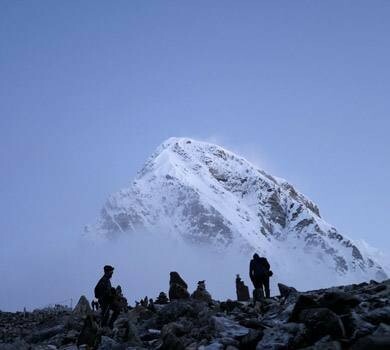 As fewer numbers of people take this short trek towards Pikey Peak to utilize their short time within the Himalayas of Nepal. Pikey Peak is also known as Pikey Danda (4070 m/13354 ft), Peak means Danda in Nepali language, which is regarded as one of the tallest hills of Solu region. 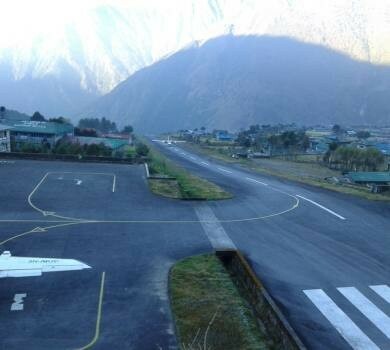 …modest with full of opulent features of nature with great snow-capped mountains of Khumbu Region. Pikey Peak trek starts with a scenic drive from Kathmandu to Sivalaya (1800 m/ 5906 ft) and follows to Bhandar (2200 m/ 7218 ft) will be the first night stop for Pikey Peak trekking. The next day heading towards Namkheli (2300 m/ 7546 ft) will be interesting because of observing the lifestyle and passing through beautiful villages of Majhagaun. After then passing through Ngomar Gompa (2800 m/ 9187 ft), the trail leads to Pikey Peak which offers with the great views of eastern and central Himalayan peaks – Mt. Everest, Mt. Makalu, Mt. Kanchanjanga, Mt. Lhotse, Mt. Annapurna, Mt. Thamserku and many more mountains. 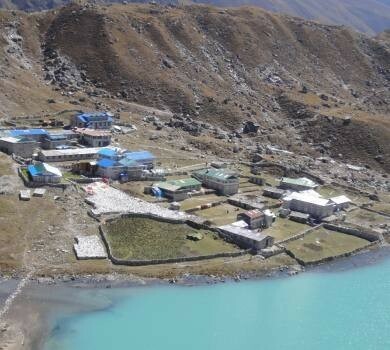 Junibesi (2680 m/ 8793 ft) will be another perfect place to create some memorable moments as exploring Thutungchheli Gompa (3050 m/ 10007 ft) will also be fruitful. And, heading back to Shivalaya passing Sate and Bhandar will be the end point of Pikey Peak trek. 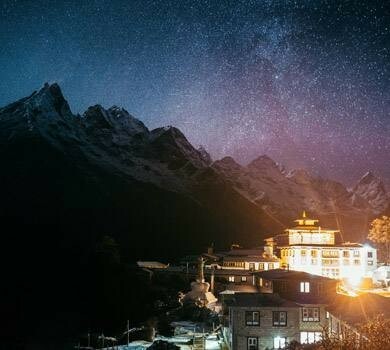 This will be a great time staying in beautifully set up villages, observing the traditional lifestyle of local people, exploring around the monuments during Pikey Peak Trek and catching the spectacular views of great massifs of Nepal. Pikey Peak trek passes through rhododendron forest and beautiful villages where one get the opportunity to observe the culture and tradition along with the traditional lifestyle of local people. 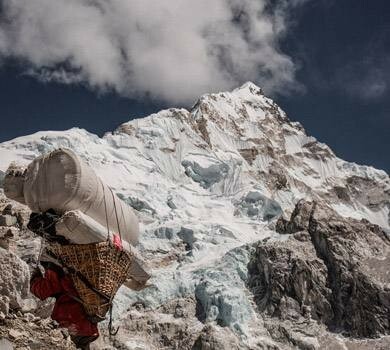 Most of the places are the habitat of Sherpa community so will be a great chance to witness their lifestyle. During the trek towards Pikey Peak or Pikey Danda, one can see rare species of flora and fauna. Pikey Peak Trek is of short duration and done within the altitude below 4070 meters so this trek is favorable for those who get suffer from altitude sickness and also suitable for those who have interest to travel in a group or individually. Trekking within the less participated route (Pikey Peak trail) by people will be totally new and can have a new experience as with this to discover the beauty of different villages and places on the way to Pikey Peak will provide with unique features. This 14 days journey towards Pikey Peak or Pikey Danda will be bestowed with incredible scenery and beautiful settlement of Solu Region to make the trip wonderful and unforgettable and as per one's interest and timeframe, the trek can be customized. The perfect seasons throughout the year to participate in Pikey Peak Trek are Autumn (September to November) and Spring (March to May) and nevertheless January, February and December are also the preferred time to explore Everest region. The member of Massif Holidays will always present during the trek as to make the journey effective and interesting. Pikey Peak Trek is fully supported guesthouse trek and regarding the trek or during the trek towards Pikey Peak, if any problem arises one can consult with the team of Massif Holidays. Majestic view of Himalayas from Pikey Peak:- Mt. Everest, Nuptse, Lotshe, Amadablam, Pumori, Khumbila, Thamserku and other massifs. Confronting different ethnic group and observing their lifestyle. Visiting the Thutungchheli monastery at Juni Beshi. Passing through charming Rhododendron forest and other natural gems. Passing through Lamjura Pass (3530 meters). 13 Breakfast, 08 Lunch and 09 Dinner. Day 03: Drive to Sivalaya(1800meter).About 7 hours. Overnight stay at Guest House. Day 04: Trek to Bhandar(2200meter).About 6 hours. Overnight stay at Guest House. Day 05: Trek to Namkheli (2300meter).About 6 hours. Overnight stay at Guesthouse. Day 06: Trek to Ngomar Gompa(2800meter). About 5 hours. Overnight stay at Guest House. Day 07: Trek to Pikey Danda(4070meter) about 6 hours. Overnight stay at Guest House. Day 08: Early morning hike to Pikey Danda and trek to Juni Beshi(2680meter). About 6 hours. Overnight stay at Guesthouse. Day 10: Trek to Sate (2520meter) via Lamjura pass (3530meter). About 6 hours. Overnight stay at Guest House. Day 11: Trek to Bhandar(2200meter). About 7 hours. Overnight stay at Guest House. Day 12: Trek back to Sivalaya (1800m).About 6 hours. Overnight stay at Guest House. Day 13: Drive back to Kathmandu. About 7 hours drive. Overnight stay at Hotel. Basic guesthouse accommodation during Pikey Peak Trek. Professional license holder English speaking Trekking Guide (if required with other nation’s dialect for Pikey Peak Trek). 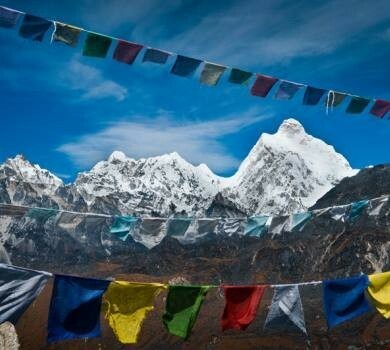 The listed optional facilities for the trekking within Nepal are not included in the travel cost. As per guest choice and demand for extra facilities or services some amount will be added to the trekking package cost. You can include the other extra facilities and services in your trekking package consulting with the crew member of Massif Holidays.